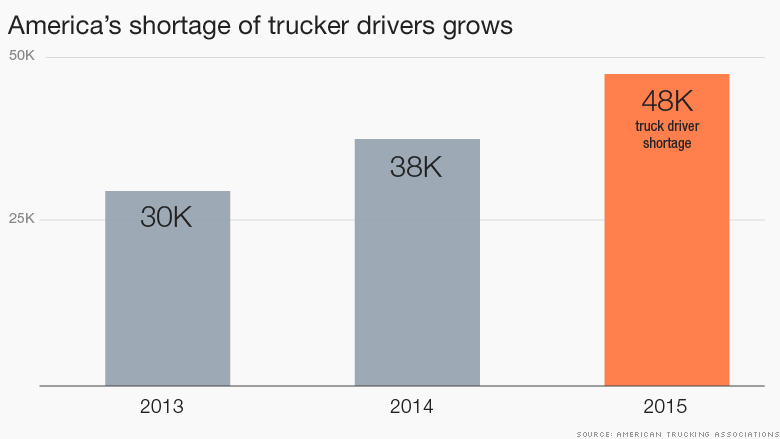 There will be a shortage of 48,000 truckers by the end of 2015, according to the American Trucking Associations. American businesses need truck drivers to move goods around. And not having enough of them affects daily deliveries of everything from essentials like food and gas to supermarkets and gas stations to online Amazon (AMZN) orders to people's homes. It's a job that cannot be shipped overseas and has the potential to drive the cost of goods higher and ultimately hurt the U.S. economy. Trucker compensation has been going up 8% to 12% a year in recent years, according to Bob Costello, chief economist at the ATA. That's a lot higher than wages for the rest of Americans, which have barely budged recently. But it isn't an easy job to fill. Related: Do you have good work-life balance? To qualify, truckers have to be 21, they must a commercial trucking license and pass a background check and drug test. Those requirements haven't changed in years, experts say. However, what's changed is that there are fewer people willing to be on the road for days at a time and put in the long hours that the truck-driving lifestyle demands. 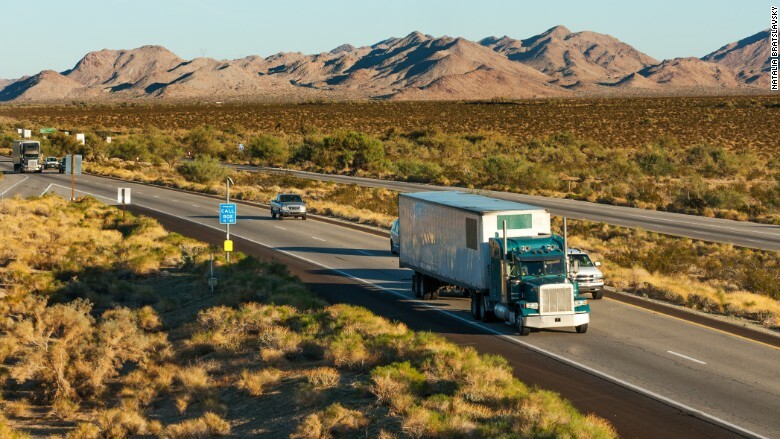 "They're having a very difficult time being able to recruit or retain [young] drivers," says Charlie Myers, vice president of Trucker Path, an app for the trucking industry.